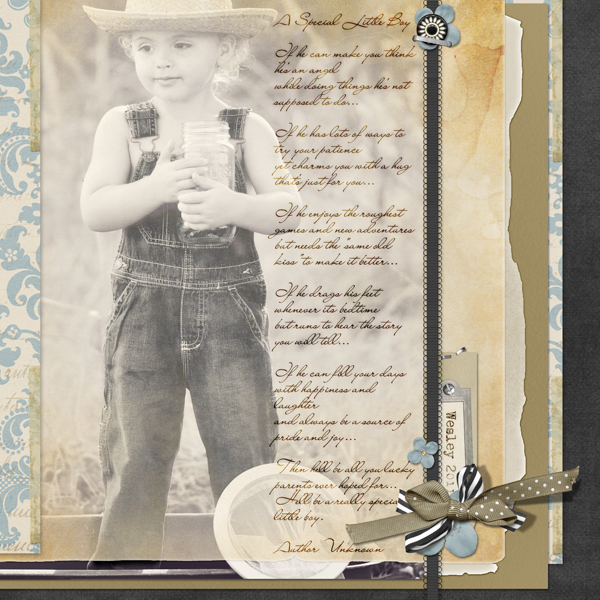 Special Little Boy layout by Brandy Murry. See below for links to all products used in this digital scrapbooking layout. My Auntie layout by Brandy Murry. See below for links to all products used in this digital scrapbooking layout. Feeding the Birds layout by Brandy Murry. See below for links to all products used in this digital scrapbooking layout. 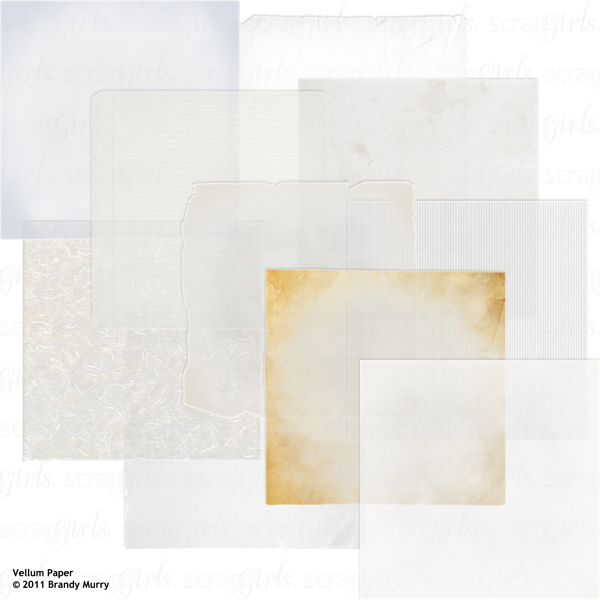 10 delightfully transparent & textured vellums are included in this digital scrapbooking set of papers. Each paper is uniquely aged, creased and textured for a beautiful variety. Be able to see your background papers and embellishments underneath, but giving you a place to tell your story. Age and distress your photos & papers. Cut out as Journal mats. Cut out as embellishment Shapes. Cut out letters & numbers for a unique title. 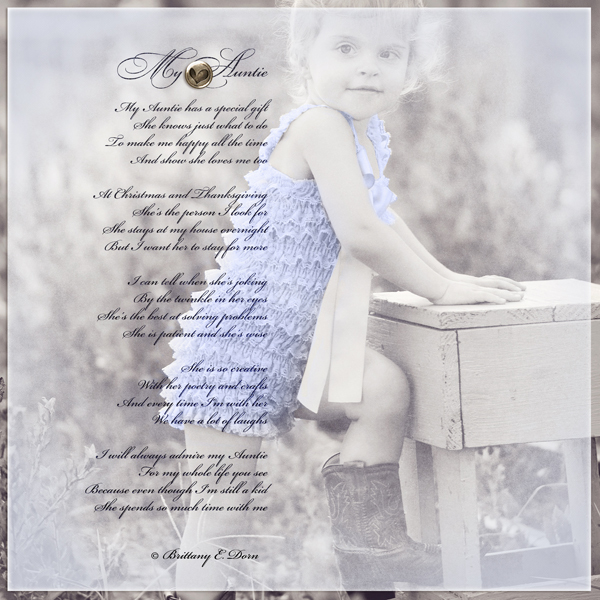 Special Little Boy layout by Brandy Murry includes the following products. My Auntie layout by Brandy Murry includes the following products. 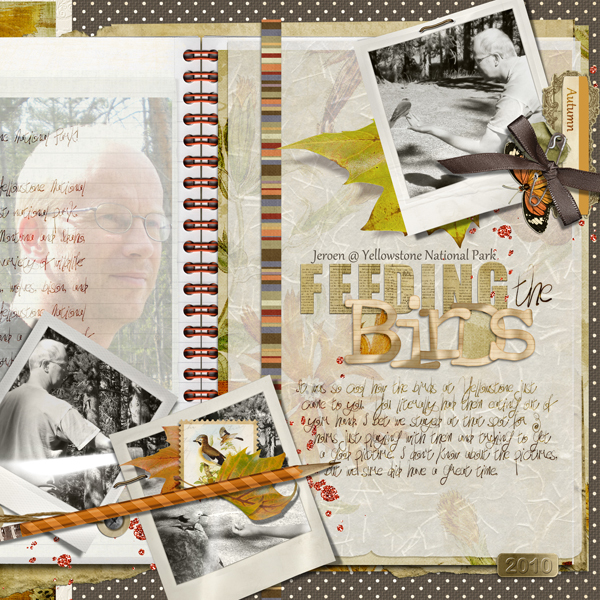 Feeding The Birds layout by Brandy Murry includes the following products.